As on today, there are hundreds of Princes and Pashazades. You are all lost and some of your brothers, cousins and sisters do not know that they belongs or care blood of the Royal House of Osman. Some people trying to hide or do not recognize those titles. 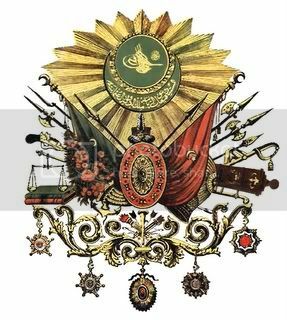 As we all know, Abdil Hamid I had many sons including Mustafa IV (1807–08) (his son by Ayse Seniyeperver), Mahmud II (1808–39) (his son by Naksh-i-dil), Murad, Nusret, Mehmed, Ahmed, and Suleyman. Some of them got married and had sons and daughters. - and some of you have their blood and roots and you belongs to Royal House of Osman and you have brothers and sisters. You are not alone. MUSTAFA IV - has only 1 (one) daughter from Suleymanthe Great - and name of this daughter was Nilay (Emine) Sultan ( 1808). She was married to Daud Pasha and they had son Sultanzde Abdulkerim who was born in 1830. Sultanzde Abdulkerim was also married and had children including 2 boys: Shabgul (a.k.a Shab gul Mustafa - 1860) and his younger brother Sultan Mustafa. Sultan Mustafa died in Iraq. And his older brother Shabgul Mustafa - carried Sultan's body days and nights all over Iraq desert to bury his body near family. ( This information was confirmed in 1999) by descendants who moved from Iraq to Azerbaijan. Sultan Shabgul Mustafaev ( 1889-1945) had 3 wife and 4 issue. Note: If some one will ask why man had so many marriages? Answer: Man got married until he will have male issue. it was important to have male, who will care name of the father's family. As you can see, roots are spreading. There are missing information on all families descendant of Mustafa IV ( and his daugther Emine Niley Sultan - married to Daud Pasha). Osman Bayezid Osmanoglu - (23 July 1924 - alive) He was born in France and become 44th Head of the House of Osman (2009-...after death of Ertugrul - Osman V, who died in 2009. ), great-grandson of Sultan Abdülmecid I. Based on Archive and records we have. There are quite a lot of Princes and Princess which carry blood of Abdul Hamid I. About Timur Can (1978) descendant of Mehmed Murad V (1840). Murad V was 29th Ottoman Sultan. Even he related trough Fehime Sultan Daughter of Murad V - he still has right to care title of Prince of the Royal House of Osman. Considering that Mahmud II was brother of Mustafa IV and had same father - Abdul hamid I (1725-189) then Prince Timur Can ( 1978) Germany alive, Prince Konstantin V Mustafaev (1980) In Canada alive and Prince Malik Sultan Mustafaev (1992) in Russia alive - are relatives by blood. There are many in USA, CANADA, RUSSIA some of them returned to Turkey. As I mentioned above, you have a lot of relatives by blood. However I can see that there are missing Parts of Prince Timur on his parents and grand parents. This information is not in public records of Ministry of Culture of Turkey. And this is very important for all of you to keep in touch with your relatives and support each other as members of the Royal House of Osman. This information is official from sources of Ministry of Culture and Tourism of Turkey, Archive of General Library of Turkey - for the public release and domain. ..:: T.C. KÃœLTÃœR VE TURÄ°ZM BAKANLIÄžI ::.. I know there are many descendants of the Ottoman sultan dynasty. they live in different countries and know nothing or little of each other. because of Mustafa IV.. I am not a descendant of his daughter Emine, it can be because she is deceased with 6 Month. I'm a descendant of Saliha Sultan, daughter of Mahmud II., she was born 1811 and passing in 1843. Thank you for your reply, there are few lines which we didn't have in register. I will send them to Archive for review and research. We still keep track of the descendants of The Royal House of Osman. It's not a secret that some people claim to be relatives of the Royal House of Osman and after research we have to give them refusal confirmation. But most o them, I would say 75%- 80% of people who requesting information - are the descendants of Ottoman Empire. Out of record, I may say that some of them angry and claiming the Throne of the Royal house of Osman, but this is not possible. It's the same as to ask toe be Prime Minister. As per your request about Mustafa IV and you. No, your roots are not from Mustafa IV, but Daud Pasha - this is correct. If you will make a Family tree - you may find this more clear and easy to understand all your roots. There are not many sources which are open on Public and I'm not allow to mentioned here. But I'm very glad that you provided some information which can be helpful to find your relatives. This is a fascinating account of the genealogies of the Sultans. We have to remember pre Great War (WWI) there were four imperial dynasties in Europe. The Romanov, Hohenzollern, Hapsburg and their descendants are well documented; not so the remaining Osman dynasty. So this is a very important and interesting contribution to this forum. Thank you for elucidating a very intriguing dynastic history. Which one was real mother of Nilay Emine Sultan - still unconfirmed. the mother was not recorded. I have found in the I-Net on a Turkish side following information. Dilpezir Kadınefendi born 1784, died in 1809, although she was 25 years old. Peyk-i Dil Kadınefendi born 1785, died in 1809, although she was 24 years old. Sevk-ı Nur Hanımefendi born 1784, died in 1812, although she was 28 years old. She gave birth to a daughter, Emine Nilay Sultan. As Emine was about 3 years old, her birth mother died. Seyyare Hanımefendi born 1786, died in 1817, although she was 31 years old. She gave birth to a daughter, possibly named the girl Emine (Ayşe), but it died after birth. Seyyare was thus for a short time, the stepmother of Emine (Nilay). Emine was then given into the custody of their grandmother Seniyeperver. I am not fully cognizant with Ottoman courtly protocols so I should tread carefully here. However, it does seem the discussion is being stilted by interpretation. As in German speaking lands prince can take several forms; during the era of The Porte there were various rankings of pasha, some purely governors of provinces, some afforded princely status, and yet others like the rulers of European tributary states (Christian princes) were afforded the style and privileges of pasha. The present Walachian princely family for instance certainly didn't receive its status and titles from the Holy Roman Empire. A descendant of an Ottoman princess did not belong directly to the family of the ruler. 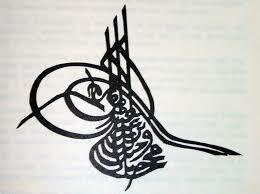 In the Ottoman Empire ruled the shariya (Islamic law). Thus, the children were always the father. Even the children of Ottoman princess named for the father. We've found today confirmed information, that His Highness Prince Konstantin V Mustafaev is currently residing in Canada. He has residence somewhere in Province Quebec near Montreal. In 1998 - 2000 He left his family with condition to care The Ring from The Royal House of Osman and return back upon request. two days we have together written. What do you mean with 'The Ring'? None of the children of Daoud ever lived in Iraq.! The descendants of Daoud Pasha lived in Medina for 20 years in very poor conditions, without jewelry, gold or other valuables. Konstantine can not be a descendant of Sultanzade Abdülkerim. There was only one Pashazade Abdülkerim, but the died in the age of 7 years in Medina, and was buried there. The whole story is very suspect. About Emine Sultan,she died at 6 months. Her coffin is seen by her father IV Mustafa, and grandfather Abdülhamid I. "There are no living descendants of Mustafa IV.".!!! Several princes of the family Osmanoglu have investigated over the person of Konstantine. Very interesting thread. I hope it continues. 1. We've tried to reach His Highness Prince Konstantin V Mustafaev, but only his security staff answered, that only HH Prince Konstantin and his family know and can confirm that family tree contains name of Abdulmecid I or Mustafa IV. 2. There are many people, fans and even enemies of The Royal House of Osman trying to write some misleading information and even dirt on Royal Family of Osman. It doesn't surprise us. 3. People are making fake profiles of HH Prince Konstantin V Mustafaev and HH Prince Malik Sultan Mustafaev and you should pay special attention to it, before you know that you are talking to real people. Even on Facebook, some people making fake profiles with different name spellings of the members of the Royal House. 4. HH Prince Konstantin V is hiding his life, traditions and obligations from the Public and never discuss anything what is related to his title. However his cousin is very open to talk about it. 5. Prince Konstantin is not claiming and in the same time is not refusing any responsibilities which he has as a Prince, but it's not so easy to reach him. 6. Dear Timur Can, if you will have any chance to communicate directly with HH Prince Konstantin V, please let us know. I think this information should be registered and released for public. 7. We still have believes that he may be descendant of Abdulmecid I which makes him Imperial Highness. Many people make fake names, etc. In my name they write in forums too. Here I'm writing you the imperial titles and the people who have the right of bearing one. The head of the states was Padişah [the grandsultan, meaning the shah of the shahs (king of the kings)], of course he had a lot of titles beside this one. Padişah would simply be called Sultan XYZ. Sultan: The title of sultan was used in many cases by the grandsultan, the imperial princesses, the wives of the grandsultans and the imperial princesses. If 'Sultan' is before the name, then that person is the grandsultan/padişah. If 'Sultan' is after the name, then that person is an imperial princess (daughter of the padişah or an imperial prince's daughter) or the padişah's wife. An Imperial princess' (Sultan's) children bear the titles of hanımsultan and sultanzade/beyzade but grandchildren of the Imperial Princess don't bear any titles. Fatma Neslişah Sultan : An imperial princess. She's the last official member of the dynasty who was born during the Empire. Just google her and she's got a reportage in French on youtube. She's a real princess!!! For example; Neslişah Sultan's son is Beyzade XYZ and daughter is ABC Hanımsultan but Neslişah Sultan's grandchildren don't have any Ottoman titles. Hürrem Sultan : As being Sultan Suleyman the Magnificent's wife and big love. She had such an interesting life story. Şehzade : The imperial princes in male line used to bear it. Hanımsultan: Princess but not an imperial princess. Daughter of the imperial princess. A Hanımsultan's children are commoners. The famous author Kénize Mourad isn't an Ottoman princess. Her great-grandfather was Sultan Murad V. Kénize's maternal grandmother was an imperial princess with the title of Sultan and then Kénize's mother was Selma Hanımsultan. Kénize's father is a Muslim Indian Raja, so she's an Indian princess and she doesn't bear any Ottoman title. Sultanzade or Beyzade : Prince but not an imperial prince. Son of an imperial princess. He doesn't have the right of being in the succession line to the throne. His children don't bear any Ottoman title. Title&style: Sultanzade or (but lately) Beyzade [Name] Beyefendi. He wouldn't have an imperial title but his style would be: "Damad-ı şehriyari [Name] Beyefendi"
And although the grandsultans had a few wives, the system of 'empress consort' never existed. If the padişah's mother is alive, she's the Valide Sultan and the ruler of the Imperial Harem, which was making her one of the most powerful women of the old times. I hope I made it clear enough. I wanted to write this message because there are some people claiming to be a descendant of the Ottoman dynasty, so people shouldn't get it wrong. My ancestress Princess Saliha was born in 1811 in Topkapi Sarayi. They got together two children, a son who died at 3 years, and a daughter, who survived. Her daughter Aysha Siddika was still a little Girl, and came into the household of Pertevniyal. Abdulaziz was 13 years old when his older sister, Saliha died. Aysha then married the server Pasha and had three daughters. Her second daughter Aziza married then later Suad Bey and got three children. Her older son was Ziya Songülen, founder of the Turkish-soccer club: Fenerbahce. Kenize Mourad and also other descendants of an Ottoman princess today, always are together in the Family Meeting of the Ottoman Dynasty.